I’d never thought of going to Iceland – or, to be honest, known much about it – until I met my husband, Dan. 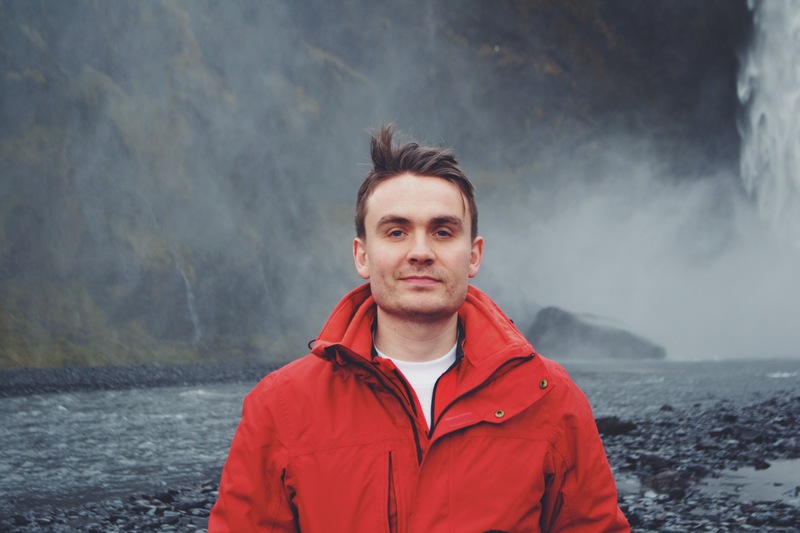 Iceland was at the top of his wanderlist, and he got a sparkle in his eye when he talked about the epic landscapes, tasteful design and slowed-down lifestyle he had heard about. We found ourselves on the plane to Keflavik with Dan’s sister, Emma. One of us on the brink of a big sea-change and another having just marked a special birthday, we had lots to celebrate. Arriving in Iceland was as magical as we’d imagined. 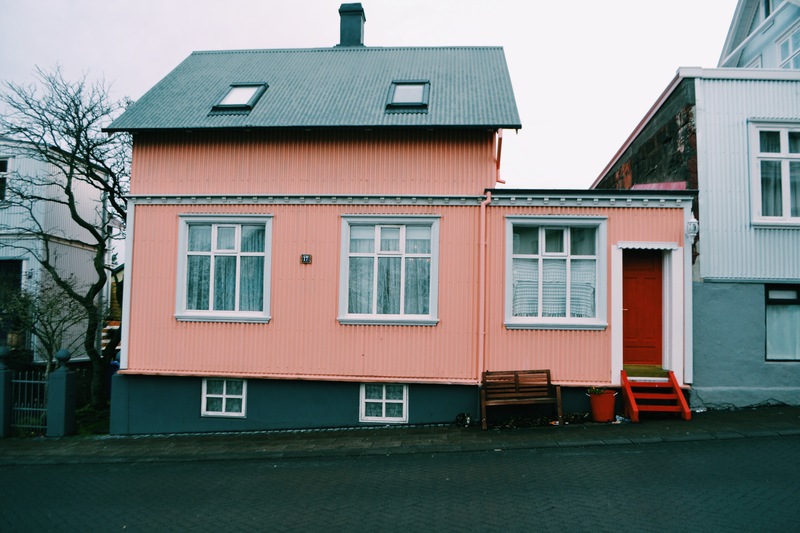 We were greeted by black, snow-dusted mountains, stormy shorelines, skies that changed every ten minutes…and we spent 4 days in this wonderful place, taking in three main things: the city of Reykjavik, the Golden Circle and the Southern Coast. Here are some tips and recommendations for those who venture to this stunning Icelandic island. As we usually do, we stayed in an Air B&B property and absolutely loved it. One of three wooden cottages on private farmland, ours was a little haven, perfectly equipped and welcoming to weary (or just cold) travellers at the end of the day. It was reasonably priced at around £100 per night, and our host was gorgeously warm and helpful. Heated geothermally and overlooking the fjord with views of snowy mountains and black sand, we couldn’t have asked for more! We spent one day driving along the Southern Coast, from Reykjavik down to Vik. We stopped at two waterfall spots and spotted a glacier, too. These were lots of fun (and definitely called for hoods and waterproof coats!) We then went on to Dyrhólaey Island, which is actually a puffin colony with stone structures rumoured to have been built by trolls! The wind there was the strongest any of us had ever experienced, and the sun had just begun to set, making this my favourite stop-off of the trip. Our final stop was the charming town of Vik, where we had dinner in the local grill-diner, looking out from our wooden booth onto a black sand beach. Bliss. We went to Iceland in mid-November, and it was COLD – mainly due to the Arctic wind. Your two aims when dressing for Iceland are staying warm, and staying dry. You don’t actually need the fancy gear some websites recommend, but make sure to pack enough layers (I wore thermal leggings from Decathlon and jeans with warm socks; and a thermal long-sleeve t-shirt again from Decathlon as well as a vest top, jumper, cardigan and Puffa coat, with a chunky wool scarf). As for staying dry, I wore a hat in the rain and actually packed a waterproof over-coat which I didn’t end up wearing. On my feet, I wore some rather snazzy-looking hiking boots (a departure for me!) which were a life-saver when walking on lots of different surfaces. I got them for under £25 in Sports Direct. Easyjet flies directly to Keflavik from Belfast – it’s a two-hour flight which, if booked at the right time, won’t be too expensive at all. The rumours are true: food in Iceland is expensive. Knowing this ahead of time, we planned to cook our evening meals ourselves. We got supplies in supermarkets along the roadside (Bonus is a great chain) and were able to make hearty meals as well as serve up breakfast quite cheaply. We also brought healthy snacks with us, knowing they would be expensive in Iceland (they have to import things like cereal bars, which makes them rather over-priced) and were glad we had. When we did eat out during the day, we did so in small cafes (and an AMAZING creperie). We splurged on coffee and treats on our last day in Reykjavik, which were totally worth it. Friends, you simply must check out Braud & Co and sample their world-famous cinnamon rolls. They are, in fact, out of this world. And just up the street is Reyjkavik Roasters, which is a charming roastery serving up top-notch coffee in a bohemian setting you won’t want to miss. Oh, a note on the hotdogs: I didn’t think they were all they were cracked up to be. You may disagree. Let me know. Our first day of exploring was spent around the Golden Circle. Its three main attractions are Pingvellier, ancient site of the Viking’s Parliament, Gullfoss Waterfall and the Geysirs at Haukaladur. All three are so worth the trip. When you get to Reykjavik (where parking is easy and people are very friendly), make your way to Hallgrímskirkja Church and head to the top of the tower. The view from the top over the city is beautiful, and will give you a good sense of where you are. From there, wander to your heart’s content: there are lots of charming cafes and restaurants (see Food, above) and lots of tempting design shops which you may need to stay away from if symmetry, copper, monochrome, and All The Pretty Things tend to lure you in. Public transport is a bit of a no-go in Iceland, so your options are tour buses or rental cars. We rented a car with AVIS which was reasonably priced and afforded us the luxury of operating our own timetable. We clocked off at just over 1000 kilometres after our 4 days. Drivers are safe and Dan, who drove for the whole of our trip, really enjoyed the experience. Make sure you have lots of good tunes and podcasts with you: these must include a Sigur Ros track or two…because, you know, Iceland. It rained during part of every day we were in Iceland and as I mentioned above in Clothing, it was cold! You get used to this though and, believe it or not, it adds to Iceland’s thousand charms. The sun rose around 9.30AM, and set around 4.30PM.